When you think of mountains, Great Britain might not be the first place that comes to mind. Mountaineering and our small island have a long and distinguished history together, however. The foundations for many first ascents during mountaineering’s ‘golden era’ were laid by climbers on the slopes of Britain’s own iconic peaks. What the Scottish Munros or the mountains of the Snowdon Massif might lack in height compared to their continental cousins, they more than make up for in the variety and technical challenge on offer for those who attempt to climb them. The same could be said for the roads that go up and over them. 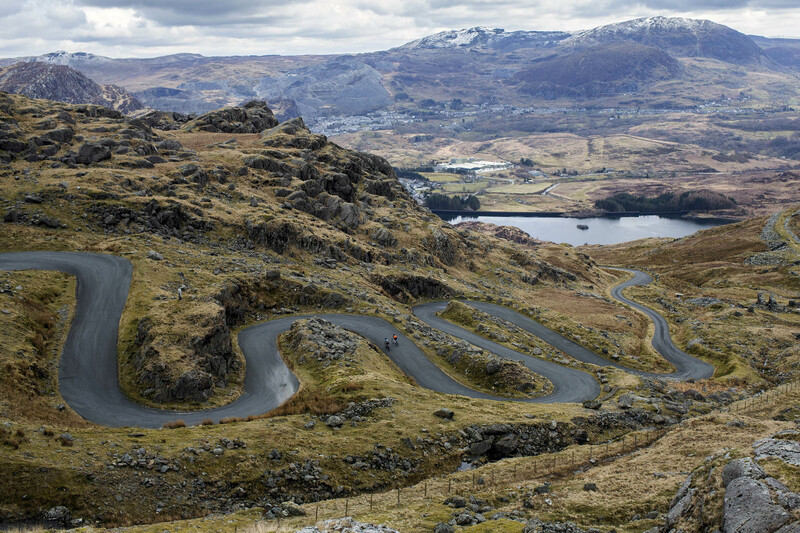 Whilst the UK cannot boast climbs with the sweeping majesty of the Alps, or the sheer length and scale of those in the Rockies, for those who know where to head our island offers wild terrain, remote roads, and an abundance of difficult climbing. 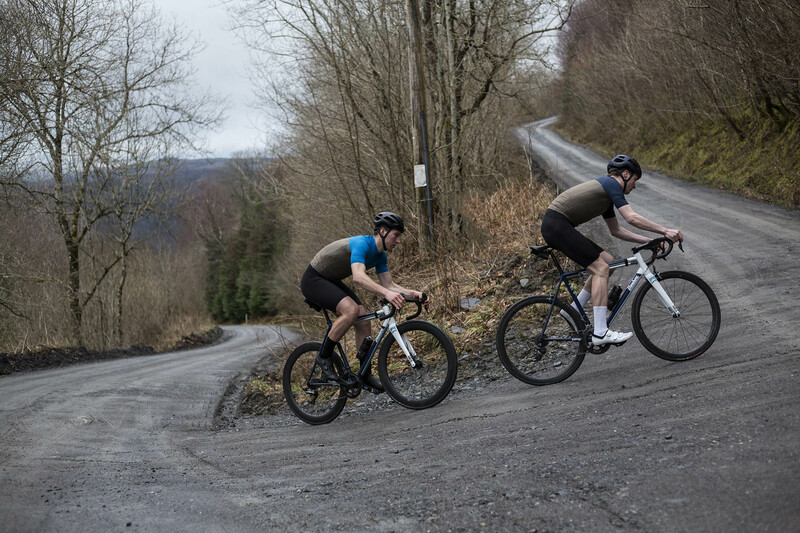 For our Spring/Summer 2018 collection we’ve created a range inspired by the great tradition of mountaineering in Britain, and the performance demanded of cycling clothing and equipment designed for long days in the saddle in search of vertical ascent. 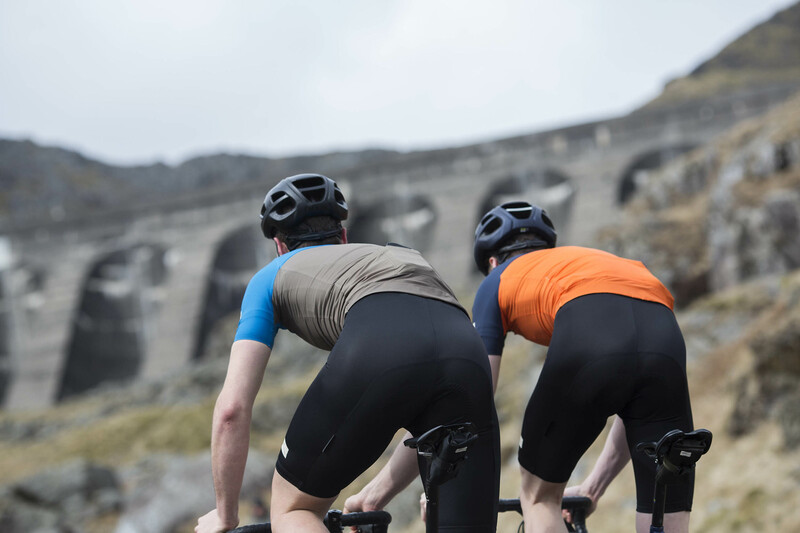 We’re excited to introduce the new Mountain Jersey to our range this Spring, an ultra lightweight short sleeve cycling jersey made using an innovative high stretch, breathable, moisture wicking performance fabric. Weighing just 111 grams for a size medium, and with mesh side panels for additional temperature management, laser cut sleeves, and a YKK reverse coil zip, we’ve used the latest fabric and manufacturing technology in a jersey designed for comfort and performance when riding in warm and hot weather conditions. This season also sees the introduction of Albion’s first pair of bib shorts. 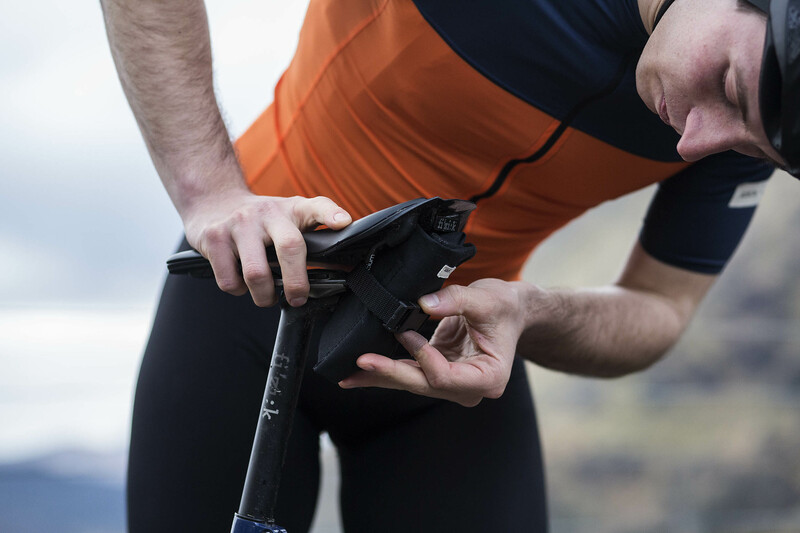 Constructed using premium fabric from the legendary M.I.T.I., and with chamois technology from Elastic Interface’s ultra range of premium high density foam pads for long distance riding, the Albion bib shorts utilise a reduced panel, anatomical design with compression fit to deliver comfort and performance for your longest days in the saddle. The range is designed to be complemented by our existing product inventory, notably our packable gilet. 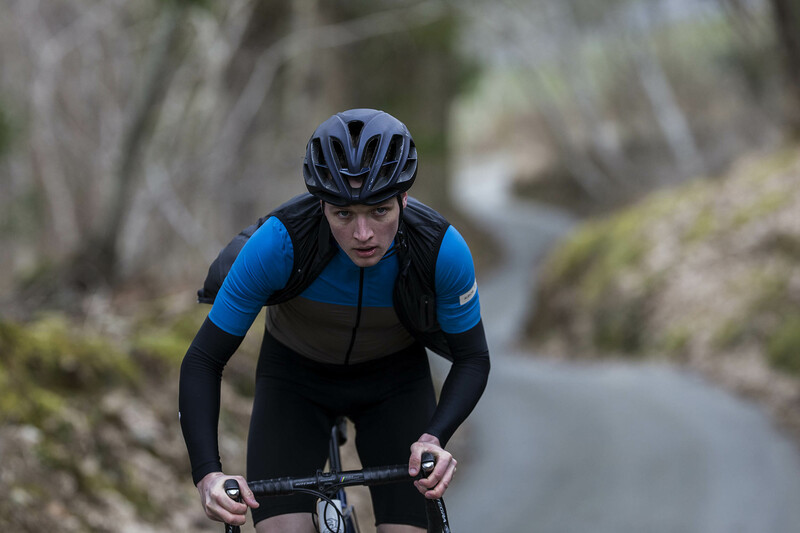 Using Japanese fabric technology, the Albion gilet is a windproof and water resistant lightweight outer layer which packs down easily into a jersey pocket, making it an ideal piece to go with you on long days when altitude and conditions can change quickly. We have also continued to expand our range of accessories, with our waterproof rider’s pouch and our tool roll now available in black. Made in England using fabric milled in Scotland by Halley Stevensons, our accessories keep your essentials dry and protected, whatever the weather throws at you. Photography for this season’s collection was shot in Snowdonia National Park, home of Britain’s second tallest peak Mount Snowdon, where we headed on a trip to put the products through their paces. Shop Albion Spring/Summer 2018 here.